Business is all about transaction and sometimes institutions lend money to their consumers with the hope of receiving it back in due time. However, their waiting seems never ending as the other party cannot pay the money back. This situation is highly common nowadays wherein firms fall in trap and loose good amount of their hard earned money. This in turn proves to be very bad for the party on the receiving end as they have to face huge loss. While institutions might fail to retrieve their money, it is not an impossible for a seasoned company like Atlantic Recovery Solutions. Atlantic Recovery Solutions, a firm dedicated to help institutions recover debt and get their lost money back. The company is composed of highly trained professionals who have experiences in recovering money from any kind of situation. The professionals here have had numerous years of experience in dealing with situations like this. Therefore, it makes it easy for them to understand what their clients are going through and come up with just the right kind of strategies that will assure that their clients get their money back as soon as possible. ARS collection agency is a well-established firm which clients can completely rely on. Their long list of clienteles speaks for them and their recovery success rate. 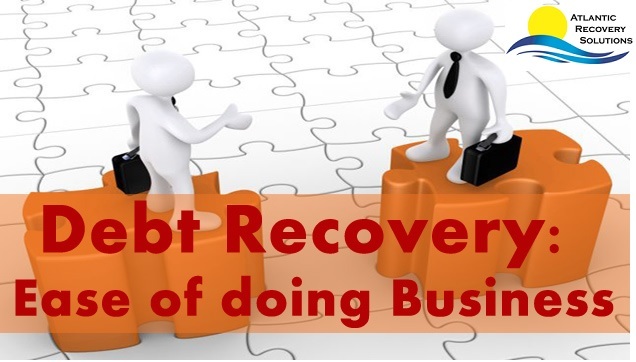 The company here has over 40 years of experience in the industry of debt recovery and hence are very well aware of all the complications that might come up when dealing with cases related to it. Therefore with years of studies and research of various cases the professionals here are ready to face and deal with any situations and issues presented to them hence clients can be rest assured once they hire this firm. Debt has become so common that it has not left any sector untouched. People from every walk of life have been affected by debt and have lost huge amount of money with some being so devastating that they had to lose their business altogether, but not anymore with Atlantic Recovery Solutions. The ranges of clients that hire the company are consumer merchants, big and small financial companies, housing facilities, individual organisation, and even local retails. Each of these clients has enjoyed a successful return of their money and has been able to get on with their businesses. Each of the ARS debt collectors have received proper training and are highly qualified therefore they understand all the laws associated with debt recovery and helps their clients accordingly. Every person or organisation that approaches them are individually evaluated and are provided with solutions that will best fit their requirements. Customer satisfaction is the highest on the priority list of the company. The team at ARS makes sure that you get the money back that is rightfully yours.